Welcome to our blog page! Please read responsibly. Disclaimer: This page was created to be both informative and enjoyable. It contains a combination of original content and sourced content. Please see source information for more details. Enjoy! 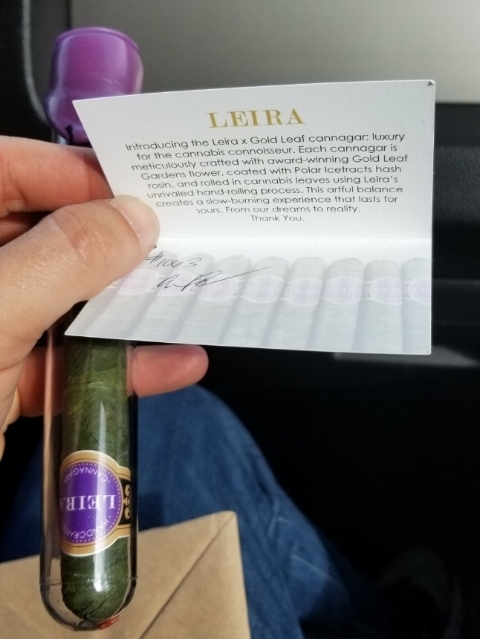 Los Angeles Cannabis Laws: "Californians will soon be able to buy marijuana; they need legal places to smoke it"
Product Review: PAX Era NATIV "Gorilla Glue"
Cannagar Smokeasy Countdown: Coming soon! This decrease climbed to 33 percent by year six. A 2015 study published by the National Bureau of Economic Research linked the establishment of state-licensed dispensaries to reductions in opioid deaths. Traffic fatalities involving opioid-positive drivers have also fallen in states that have implemented medical marijuana laws. Update: HR 2215 was referred to committee on 9/21/17. Update: A bipartisan group of 9 Senators introduced a Senate version of the SAFE Banking Act on May 17, S.1152. It has been refereed to committee. A bipartisan coalition of more than two dozen co-sponsors have introduced legislation in Congress, The Secure and Fair Enforcement Banking Act (SAFE Banking Act), HR 2215, to allow state-licensed marijuana-related businesses to engage freely in relationships with banks and other financial institutions. Please enter your information to the right to urge your members of Congress to support The SAFE Banking Act by going to the link below. While clinical studies on cannabis’ effect on polycystic kidney disease are lacking, findings in preclinical studies suggest cannabinoids found in cannabis could offer therapeutic benefits for treating kidney disease. One animal study found that a major cannabinoid found in cannabis, cannabidiol (CBD) effectively reduced oxidative stress, inflammation and cell death in the kidney and improved renal function, causing the researchers to conclude CBD may be effective at preventing kidney disease (Pan, et al., 2009). These protective effects of CBD are likely due to its activation of the endocannabinoid system’s CB2 receptors, which another study found was effective at protecting the kidney from damage by minimizing inflammation and oxidative stress (Mukhopadhyay, et al., 2010). Cannabis may also limit kidney damage caused by polycystic kidney disease by potentially lowering blood pressure. Both animal and human studies have found that cannabinoids cause blood vessels to vasodilate, which in turn improves blood flow and reduces blood pressure (Stanley & O’Sullivan, 2014a) (Stanley & O’Sullivan, 2014b) (Herradon, Martin & Lopez-Miranda, 2007) (Batkai, et al., 2004). CBD specifically has shown provide vasodilation, which researchers found allowed for greater blood flow and reduced damage (Stanley, Hind & O’Sullivan, 2013). In addition, cannabis can help polycystic kidney disease patients manage their chronic pain levels. Cannabis has been shown to significantly lower both neuropathic and nociceptive pain; even managing chronic pain that had previously proven refractory to other treatments (Boychuck, Goddard, Mauro & Orellana, 2015) (Wallace, et al., 2015) (Lynch & Campbell, 2011). Because of cannabis’ effectiveness, surveys have found that use is prevalent among those experiencing chronic pain (Ware, et al., 2003). In one study, 12 of 15 chronic pain patients who smoke herbal cannabis reported an improvement in pain (Ware, Gamsa, Persson & Fitzcharles, 2002). Cannabis has also been shown to offer a therapeutic role for headaches, which are common in those with polycystic kidney disease (Baron, 2015). Adults in California 21 and older will soon be able to buy marijuana legally for recreational use. But where will they smoke it? Under Proposition 64, approved by state voters last year, it will be legal to grow, buy and sell marijuana beginning in January. However, the ballot initiative included strict limits on where that marijuana could be consumed. Not in public places, such as streets or in parks. Not in a car. Not in any space — such as a bar or office building — where tobacco smoking is already banned. Not on the premises of any business where tobacco or alcohol is sold. Landlords and property owners also can ban smoking in apartments and hotel rooms. This page has supported California’s strict restrictions on smoking tobacco in public places so that adults who choose to endanger their own health don’t inflict harm on others in the process. We’ve also supported the right of landlords to ban tobacco smoking in their buildings to protect people from secondhand smoke. But tobacco smokers always have the option of going outside to smoke. It’s neither rational nor fair for the state to legalize marijuana and then make it nearly impossible for people to use it without running afoul of the law. Getting caught smoking pot in public can result in fines of up to $250. The lack of legal places for people to use marijuana puts a particular burden on renters, who may not be allowed by their landlords to smoke cannabis in their homes. That also could have a disproportionate effect on low-income people and people of color. After marijuana was legalized in Colorado, blacks were more than twice as likely as whites to be arrested for using it in public. If city and state rules make it impossible to find a place to smoke marijuana legally, that also undermines one of the key arguments for Proposition 64, which was that it’s ultimately better for public health and safety to bring marijuana out of the shadows and allow it to be used in a legal, regulated and controlled way. But without licensed locations for consumption, there is a big gap in the controlled marketplace. Marijuana entrepreneurs are a creative bunch, and some have come up with a workaround: members-only marijuana clubs, where people can bring their own weed and smoke it in a private space. They are increasing in number, but they may or may not be legal. But, again, the goal of Proposition 64 was to legalize and regulate marijuana. It makes sense to set standards for where on-site consumption may occur (for example, away from schools and day care centers,) to establish rules for the responsible operation of such venues and to issue licenses that can be revoked if a business becomes a nuisance. There’s also something a bit hypocritical about permitting and collecting taxes from marijuana growers and sellers, but then refusing to license on-site consumption for fear of encouraging drug use. There are legitimate concerns about marijuana users driving while high. That is a problem, like the scourge of drunk driving, that needs to be addressed through public education and robust enforcement of DWI laws. Cities across California are confronting tough decisions about how to manage the legalization of marijuana. Even states with longer experience with legal cannabis, like Colorado, are only now beginning to experiment with allowing what they’re calling “social use” of marijuana. Last year, Denver voters supported a pilot program in which approved businesses could let customers bring their own pot to consume on site. Supporters of the ballot initiative said it was an attempt to treat marijuana more like alcohol — as a legal product that adults should be able to consume responsibly in a more social setting, like a bar. With the passage of Proposition 64, Californians also said they wanted to treat marijuana more like alcohol. Cities should be open to creating legal spaces for adults to use legal marijuana. Basically, the only place, other than a private home, where one could legally smoke marijuana would be at a business licensed for on-site consumption, such as a marijuana lounge or an Amsterdam-like cafe. Proposition 64 gave local governments the option to permit or ban that sort of on-site consumption. But so far, many California cities, including Los Angeles, have no proposals to allow for such places. 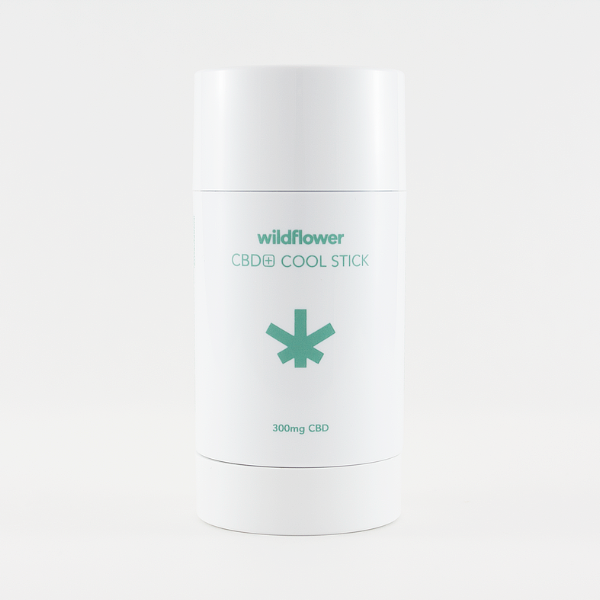 This this CBD + Cool Stick by Wildflower is a must have for minor aches and dry skin patches. Results: I felt relief in my neck pain within 15 minutes of applying the cool stick. It has a similar feeling to icy hot, but without all of the added chemicals. I could apply as much or a little as I wanted without feeling guilty about what my skin was absorbing. When used to hydrate and treat my itchy skin, I was pleasantly surprised by the results. Within 5 minutes of applying the cool stick I had a relief I hadn't felt in a while. I was no longer itching. Instead my itching was calmed and my dry skin was moisturized. The only downside was the potent odor of the product. My boyfriend said I was burning his eyes and that I smelled like a senior citizen home. Overall, this is a great product to keep in your medicine cabinet for minor aches and a MUST HAVE for itchy skin. I give this product a 8 out of 10.